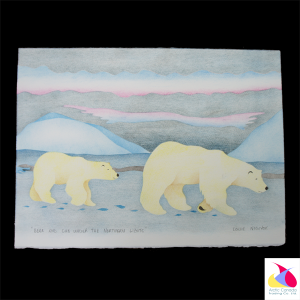 Louie Nigiyok's "Bear and Cub under the Northern Lights" is a colourful depiction of two polar bears under the night sky. This unframed print was made using traditional Inuit print making techniques in the Northwest Territories. 11"x15".